UPDATE: see important update at end. 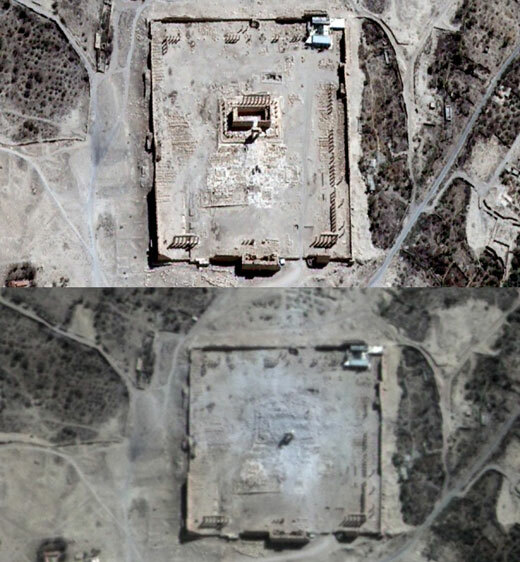 Yesterday and earlier today there were reports of an even greater potential loss for Syrian heritage: a report that ISIS had planted explosives around one of Palmyra's most iconic sites, the Temple of Bel, yesterday afternoon.and blown it up. There is, however, some glimmer of hope. Syria's Head of the Department of Antiquities and Museums, Maamoun Abdulkarim, is quoted today as saying "our information is provisional, but it indicates that any damage done was partial, and the basic structure is still standing." Dedicated in 32 AD, the Temple of Bel was already a couple of centuries old during Zenobia's reign, and was later a Byzantine church. We even know the name of its Greek architect. 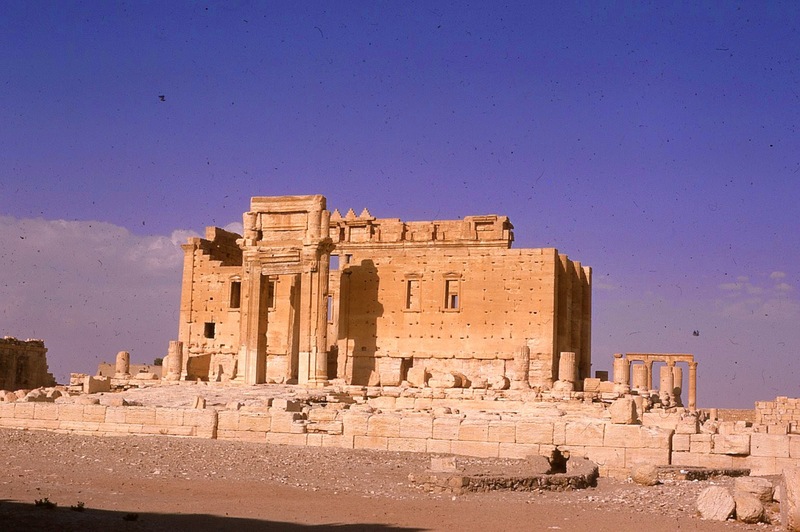 What counts as a glimmer of good news in ISIS territory is that they didn't apparently succeed in destroying this priceless antiquity on their first try. The bad news is they may well try again. Please indulge the obscene expletives of your choice. Below, a photo I took personally 43 years ago in 1972 of the Temple of Bel. Original was an old Kodachrome slide. More than four years after the "Arab Spring" we have Lebanon's "You Stink" Summer. Of events I didn't comment on during my recent vacation, this may have been the least predictable. A crisis surrounding Beirut's undelivered garbage quickly transformed into a widespread protest movement challenging the political paralysis that has gripped Lebanon for several years now. (The Presidency is vacant, the Cabinet impotent, and new Parliamentary elections on hold. The clever hashtag #YouStink (Arabic طلعت_ريحتكم#) quickly gave the movement its name, referring to the garbage or the state institutions interchangeably. Lebanon is in many ways a more open country than most in the Arab world, but its institutions have been weakened by sectarian rivalry and other factors to the point where only the coercive instruments of the state still seem to function. Parliamentary elections will not bring an end to corruption or inefficiency; they likely won’t even solve the trash crisis in the short term. But no progress can be made on any front — waste management, the electricity supply, telecoms reform, infrastructure development — without a government that possesses basic legitimacy. This links to the third issue at hand, which is the widespread citizen perception that a core problem in all these matters is corruption in the public and private sectors, which allegedly operates at two levels: Initially, public officials delay issuing contracts for basic services like rubbish disposal because they cannot agree on how to share the spoils of contracts and commissions, and subsequently political and communal leaders rake in millions of dollars from their links with the licensed or pirate private firms that sell citizens those services that they are not getting from the state. Hundreds of millions of dollars are at play in both areas, and the citizen is the one who suffers the most from this corruption. The fourth issue the protesters are starting to challenge — and this is really historic for Lebanon — is the underlying confessional and sectarian nature of the political power-sharing system in Lebanon, which basically has ground to a halt in the last two years because of irreconcilable differences among key players. The Lebanese model of governance formally divides executive, bureaucratic, legislative, and security sector power among the country’s leading religious groups (assorted Christian sects like Protestant, Maronite, Orthodox and Armenian, Sunni and Shiite Muslims, Druze, and others). And of course, one may keep current at the #YouStink News website. Just a reminder: Postings will be sparse during my current two week vacation. Normal blogging pace will resume on Monday. WE have the honour to thank you for your frank expressions of the sincerity of your feeling towards England. We rejoice, moreover, that your Highness and your people are of one opinion-that Arab interests are English interests and English Arab. 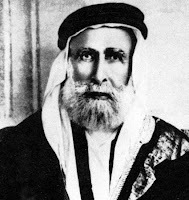 To this intent 'we confirm to you the terms of Lord Kitchener's message, which reached you by the hand of Ali Effendi, and in which was stated clearly our desire for the independence of Arabia and its inhabitants, together with our approval of the Arab Khalifate when it should be proclaimed. We declare once more that His Majesty's Government would welcome the resumption of the Khalifate by an Arab of true race. With regard to the questions of limits and boundaries, it would appear to be premature to consume our time in discussing such details in the heat of war, and while, in many portions of them, the Turk is up to now in effective occupation; especially as we have learned, with surprise and regret, that some of the Arabs in those very parts, far from assisting us, are neglecting this their supreme opportunity and are lending their arms to the German and the Turk, to the new despoiler and the old oppressor. Nevertheless, we are ready to send your Highness for the Holy Cities and the noble Arabs the charitable offerings of Egypt so soon as your Highness shall inform us how and where they should be delivered. We are, moreover, arranging for this your messenger to be admitted and helped on any journey he may make to ourselves. Just a reminder: Postings will be sparse during my current two week vacation. My vacation posting has been spotty and largely devoted to historical themes, rather than current commentary; when I'm back on the clock next week I'll do some catching up, but meanwhile it seems appropriate to comment on this week's major (if expected) development: the scheduling of a new round of Turkish elections for November 1. Erdoğan's hopes of amending the Constitution to produce a strong presidency. The AKP no longer had a majority in the Grand National Assembly, and weeks and months of negotiations with opposition parties failed to produce a viable coalition, so it had become obvious that new elections would be required. Erdoğan on notice that the AKP is vulnerable. I leave detailed analysis to the Turkey experts, but I expect the next couple of months of campaigning could produce a wild ride for Turkey. I have the honour to report that H.M.'s Ships "Pyramus: and "Dalhousie" arrived at Bahrain on the 18th instant, when your 1633-B of the 16th instant was delivered to me by the Commander of the "Pyramus" [Commander the Viscount Kelburn]. 2. As there were no Tangsiri [= Tangistani] boats in Bahrain, I left the same afternoon in "Pyramus", arriving off Doha early on the 19th. Large numbers of boats were leaving Doha that morning, as the second fishing was just commencing. While "Pyramus" was negotiating the difficult entrance to Doha bay, I went away in an armed cutter and examined all boats that were under sail, but found no Tangsiri boats among them. 3. 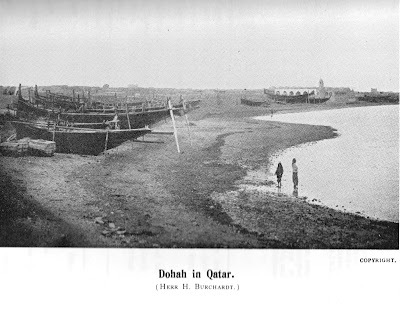 "Pyramus" having anchored within 2,000 yards of Doha Fort while "Dalhousie anchored out of range of the Turkish guns, I sent my interpreter ashore to fetch Shaikh Abdullah [‘Abdullah bin Jasim Al Thani, Ruler of Qatar]. The shaikh arrived on board in the early afternoon, and assured us there were no Tangsiri boats in his port, and that none had been there for some time, but said that he believed that some Turkish deserters had joined the Tangsiris with several rifles and large quantities of ammunition. He vehemently denies having sent Rais Ali any ammunition [See Part Two] and said that he only sent him 8 cloaks in exchange for the ten hawks Rais Ali had sent him. From independent enquiries which I instituted in Doha and Al Bida I am inclined to believe his version of the affair. 4. We then proceeded to discuss the question of the Turkish fort. Shaikh Abdulla [sic, Abdullah elsewhere in the report] informed me that there were two officers and forty men with two guns and one mountain gun at the Fort. Entrenchments could be sen around the Fort, the emplacement of the mountain gun could be easily distinguished, and also two objects which we took to be the emplacements for the field guns. All of these in the entrenched line. (a) That he should surrender, when the officers would be allowed o retain their swords and be treated in the manner indicated in your letter sent by Abdul Jabbar Effendi. (b) That he should vacate the fort leaving the guns intact in which case I would hand the Fort [inconsistent capitalization in original] over to Sheikh Abdullah, on the latter;s agreeing to look after the Turks, I insisted on an answer by 7 a.m. the next morning and Shaikh Abdullah agreed to settle the matter during the night, though he was very anxious to have ten days for the negotiations. I promised him 5,000/- [Rupees] if he arranged the surrender of the Fort without a hitch and gave him to understand that if he failed the Fort could be taken by H.M.'s ships. I may add that the Shaikh was under the impression that "Dalhousie" was a trandport. As noted in Part II, HMS Dalhousie had been a transport in the Indian Marine Service, but four guns had been added to her. On the morning of the 20th I landed with Commander Viscount Kelburn. On learning from Shaikh Abdullah that the Turks had fled in the night, we proceeded to the Fort which was first occupied by a landing party and searched, and then formally handed over to Shaikh Abdullah. Besides the three guns in the trenches there were 14 rifles, about 8,000 rounds of ammunition, 500 projectiles, some casks of black powder, tents, great coats, and odds and ends of stores in the Fort. Three old muzzle loaders had also been used for revetments. The cordite charges for the guns and the breech blocks had been removed At Shaikh Abdullah's request I gave him the rifles and unfortunately promised all the rifle ammunition. Shortly after this a blue-jacked discovered 105 cases of mauser ammunition in a magazine about 100 yards way. I handed this over to the Shaikh subject to your approval. The remainder of the report deals with the question of the location of the Tangistani dhows. In subsequent correspondence, Cox asked for clarification as to whether the full 5,000 Rupees had been paid and whether it was possible to get the Sheikh to hand over the 105 boxes of Mauser ammunition. Keyes noted he had paid 3,000 Rupees and promised to send the other 2,000 from Bahrain, which was done along with a request for the 105 boxes, which seem to have been delivered. Thus the Ottoman presence in Qatar came to an end.The following year Sheikh ‘Abdullah signed a Protectorate agreement with the British, handing over responsibility for foreign affairs and defense. The Protectorate lasted until independence in 1971. 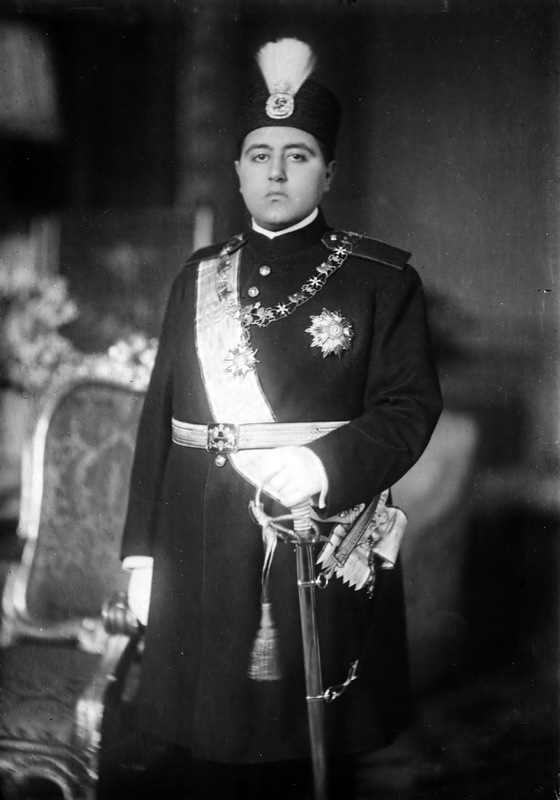 As for Sheikh ‘Abdullah, he ruled until 1940, when he abdicated in favor of his son. When the son died unexpectedly in 1948 he resumed the throne for a year and then abdicated again in 1949 in favor of another son. He witnessed the discovery of oil and lived until 1959. 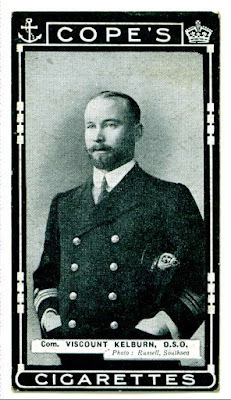 As for Viscount Kelburn, Commander of HMS Pyramus, as previously noted, he was the eldest son of the 7th Earl of Glasgow. Just a few months after the affair at Doha, in December 1915, he succeeded his father to become the 8th Earl. He too served in the intervention in the Russian Civil War, as a Naval officer at Vladivostok, and this made him a lifelong anti-Communist. In the 1920s and 1930s he became an open British Fascist supporting the British Union of Fascists. He died in 1963. Part III of my Qatar post has been delayed as I'm on vacation and it's taking longer than I thought, but it should go up tomorrow. In Part I of this post, I explained the background of the fact that at the outbreak of World War I, the Ottomans still retained a small garrison at Doha, Qatar, and at the neighboring al-Bida‘ Fort. If you have not yet read Part I, it provides the necessary context for this second part. In conjunction with the British intervention at Bushire (Bushehr) and the punitive expedition against Dilwar in 1915 (Part I and Part II of the Dilwar posts), the British decided to clear any Tangistani dhows trading with Bahrain or Qatar from the Arab side of the Gulf and, at the same time, resolve the question of the Ottomans in Qatar. In the Anglo-Ottoman Convention of 1913, discussed in Part I, Turkey had agreed to remove them, but the Convention had not been ratified when the war broke out. The India Office Records show that the British political agents in Basra (Sir Percy Cox, Agent for the entire Gulf) and his agents in Bahrain (Major T.H. Keyes), Bushire (A.P. Trevor), and Kuwait (W.G. Gray) had been receiving reports of major desertions from the Ottoman garrison in Qatar, including reports that some had crossed to the Iranian side and were providing arms and assistance to the Tangistani rebels. Let me note that I am basing this account almost entirely on the India Office Records in the British Library, but helpfully available online at the Qatar Digital Library. Most of the documents cited here appear in the "File No. E.7: Qatar & Anglo-Turkish Convention of 1913." The documents appear in roughly chronological order and are all in the same file, so I have not given separate links for each document, as I would if this were a scholarly article rather than a blogpost. By July 30 the Political Agent in Bahrain, the closest British post to Qatar, Keyes, reported to Cox that "there are now only 34 soldiers in the Fort and ten in the villages, and that that [sic] all but about ten men and three officers are preparing to desert. The Commandant has told them they may go." 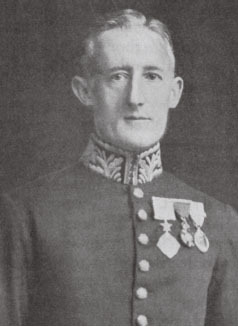 Terence Humphrey Keyes (1877-1939) in 1915 was a 38-year old officer in the British Indian Army, son of a General and younger brother of a later Admiral. In 1914 he was made Political Agent in Bahrain and had been newly promoted Major when these events occurred. At least from my vacation perch I have not found a portrait of young Major Keyes in 1915, so I must ask you to retro-imagine a younger version of his later self. At left is the elderly Brigadier General Sir Terence Humphrey Keyes later in his career. 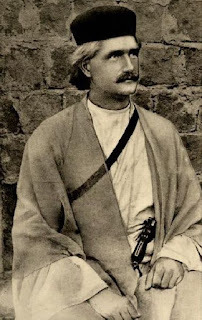 I expect a number of Tangistani dhows may be at Doha and I have also heard that Shaikh Abdullah [‘Abdullah bin Jasim Al Thani, Ruler of Qatar] has sent a present (a most useful one) of 50,000 cartridges to Rais Ali [Ra'is ‘Ali Delvari, leader of the Dilwar opposition to the British occupation of Bushire] just before the affair at Dilwar began. I think it would be worth while to follow this up. I think it would be worth while [repetition in original] for "Pyramus" to go over there (perhaps the Commander would take you over) and take away the Tangistani dhows which might be taken somewhere to be destroyed unless you think it advisable to destroy them there. Object of Keyes' visit would be seizure of hostile dhows. If shaikh fears to cooperate he can look on and plead force majeure. Incidentally Keyes should ascertain exact state of affairs regarding Turkish detachment and guns. If shaikh agrees to hand the guns over intact and clear out remainder of Turks, Keyes can offer him two thousand five hundred rupees per gun complete same as our price here or a bit more if necessary. 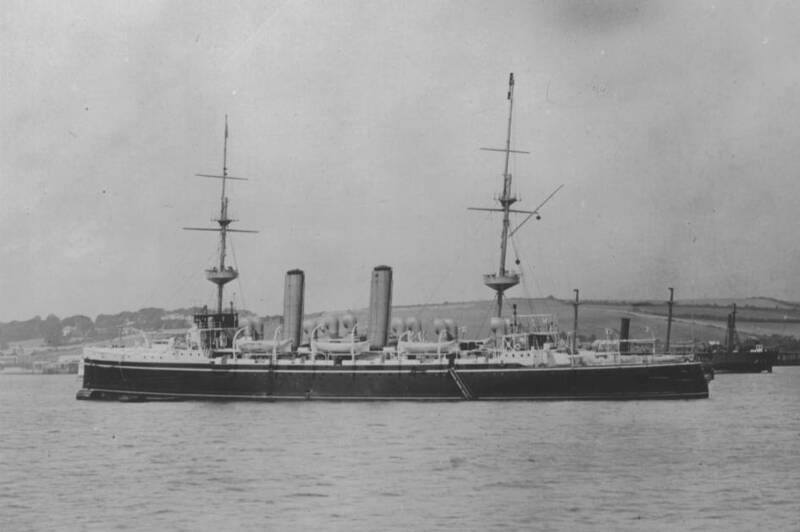 HMS Pyramus, the main ship designated for the mission, was a Protected Cruiser 3rd Class, launched in 1897, an older ship by the standards of the time, and nearing the end of her useful life in the age of Dreadnoughts. She spent most of her life in colonial service, and when the war broke out in 1914 she was in the Pacific and took part with a New Zealand force that occupied German Samoa at the outbreak of the war. In fact, though a Royal Navy ship, she had more New Zealanders serving in her during the war than the Royal New Zealand Navy's first ship of its own, HMNZS Philomel, which would also serve in the Middle East during the war. She had served at Basra and in the landing at Bushire and Dilwar. 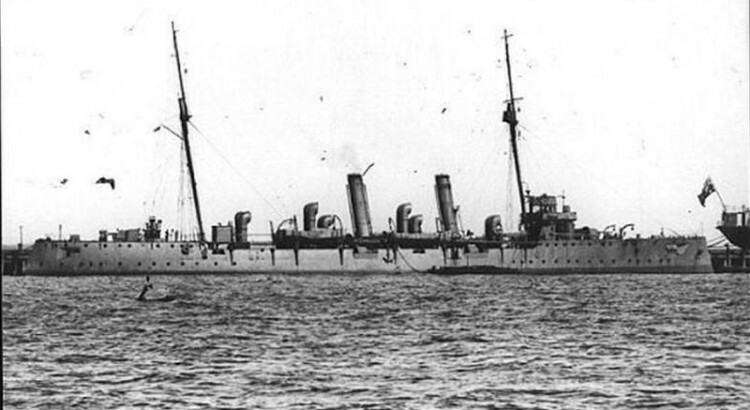 The Pyramus was accompanied by another vessel on the Doha mission, HMS Dalhousie. Before the war she had been a troopship in the Indian Marine Service, but had been brought into Royal Navy Service for the Mesopotamian campaign (replacing HMIMS with HMS) and also adding four six-inch guns. Her exact designation is unclear but she may have been classed as an armed merchant cruiser. Those are the men and the ships on the British side. 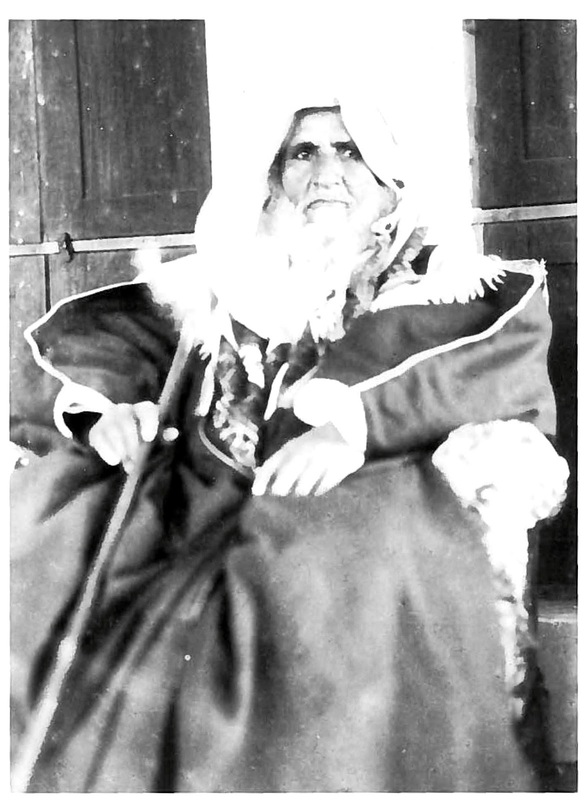 One other key player needs an introduction, the previously mentioned Sheikh ‘Abdullah bin Jasim (or Qasim, pronounced Jasim in the Gulf and often spelled with a jim in modern Qatari sources) bin Muhammad Al Thani, Ruler of Qatar (lived 1880-1959, ruler 1913 or 1914-1940 and again 1948-1949, when he abdicated in favor of his son). As in the case of Major Keyes above, the only available public domain photo I can find on vacation shows Sheikh ‘Abdullah bin Jasim, not as the man of 35 he would have been in 1915, but as a man of advanced age. He is the great-great-grandfather of the current Ruler, Sheikh Tamim; the great-grandfather of his father, Sheikh Hamad, who abdicated in 2013, and the grandfather of his father, Sheikh Khalifa, deposed in 1995. All three of the latter are still living at this writing. This post will conclude with the action in Doha in Part III, on Monday with any luck. Early last week we dealt with the British intervention at Bushire (Bushehr) and the punitive expedition against Dilwar in 1915 (Part I and Part II). Yesterday and today mark a century since the British used an aftermath of that campaign to do a little Imperial mopping up of a leftover of Anglo-Ottoman rivalry in the Gulf: ousting a residual Ottoman garrison from Doha, Qatar. In or soon after 1871, along with the expedition to Yemen, the Ottomans sent envoys to the various emirates of Arabia and to Kuwait and Qatar and persuaded the local rulers to hoist the Ottoman flag and to acknowledge a least a vague Ottoman suzerainty. This was the case in Qatar. Now Qatar's history is a complex one. The Al Khalifa we associate today with Bahrain had an ancestral base at Zubara on the west coast of Qatar, but as the Al Khalifa became increasingly identified with Bahrain, other forces emerged elsewhere in the Qatar peninsula, notably the Al Thani around al-Bida‘ (BIdda or Bedaa in Western sources) and its adjacent port of Doha on the eastern side. (Al-Bida‘ is now a neighborhood of Doha.) Both the British and the Ottomans sought to cultivate the Al Thani rulers, who however raised the Ottoman flag and allowed the dispatch of 100 or so Ottoman soldiers to Qatar. Since Bahrain was under British protection and the Al Khalifa still had a foothold at Zubara in Qatar, this added to Anglo-Ottoman rivalry in the Gulf. In 1893 an Ottoman effort to enforce tax collection by force was resisted by the Ruler and, in the end, the Ottomans were beaten and had to settle for a token presence at Al-Bida‘ and a very loose nominal suzerainty. However, competing Russian, French, German and other claims made ratification difficult. Eleven months minus one day later, Archduke Franz Ferdinand was assassinated at Sarajevo, and a few months later Britain and the Ottoman Empire were at war. Though the Ottomans had agreed to evacuate Qatar, the agreement was never ratified, and the residual Ottoman garrison remained at Al-Bida‘ Fort. In passing, I should mention that as an unratified agreement, the Anglo-Ottoman Convention of 1913 has had a remarkable impact in both international law and politics in subsequent years. Both Kuwait's claim to independence and Iraq's claim to rule Kuwait relate to the status of the 1913 accord, and the longstanding dispute between Bahrain and Qatar over the Hawar Islands, fought in the International Court of Justice between 1991 and 2001 and decided in the latter year, also saw both sides resorting to citing the unratified agreement. The campaign against the Tangistanis provided an opportunity for the British to do something about the residual Ottoman garrison in to do something about the residual Ottoman garrison in Qatar. The British believe that some of the garrison at Doha had slipped across to the Iranian side and were aiding the Tangistanis. They also reported a rumor that the Ruler of Qatar had provided ammunition to the Tangistani leader Ra'is ‘Ali in exchange for a gift of hawks (for falconry). And they were determined to search for any Tangistani dhows in Qatari waters. That set the stage for the naval operation to be described in Part II. 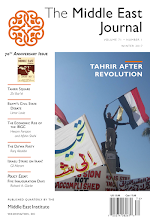 Jacky Hugi recently had a piece at Al-Monitor cleverly entitled "Egypt and Israel: a lover and his mistress." He led by noting the four regional countries not invited to Egypt's recent Suez Canal festivities: Turkey, Syria, Qatar, and Israel. President Sisi's government sees the first three as hostile, but it actually maintains close security and intelligence links with Israel. While the lover and his mistress imagery only goes so far, it's also true that Egypt doesn't publicize (for a domestic audience at any rate) the closeness of its cooperation with Israel on issues such as Gaza, Sinai, and Hamas, though they're well enough known to outside players. In the early years of the peace treaty some Israelis complained of a "cold peace"; what has evolved is instead a quiet peace, hence the lover-mistress analogy. The Jordanian-Israeli peace also generally is kept to a low profile inside Jordan. 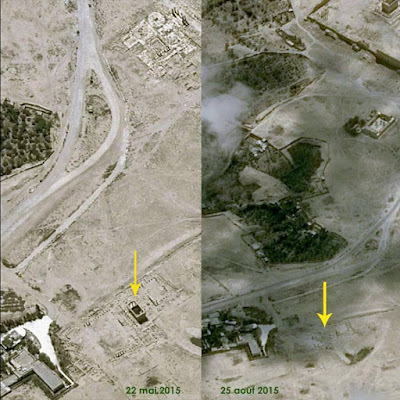 But recently both Jordan and Israel participated in the international Red Flag exercise in Nevada, and according to a military website at least, after ferrying two flights of Israeli F-15s to Spain and on to Lajes in the Azores. Israeli aerial tankers also ferried a flight of Jordanian F-16s on the same route. Again, that the two countries cooperate on security and intelligence matters is no secret, but this sort of close cooperation gets as little domestic publicity in Jordan as in Egypt. Last spring I did a post on the Egyptian holiday known as Sham al-Nassim, noting that it was one of only two Egyptian holidays still celebrated that (arguably at least) are survivals from Pharaonic times, and which are celebrated with equal enthusiasm by Muslims and Copts (other than purely secular days like National Day). Anyone who has seen the Nile valley from the air knows how dramatically the desert is delineated from the sown: where the water goes, there is richness; where it does not, there is arid barrenness. And the flood deposited the silts that made Egypt the granary of the Roman Empire. 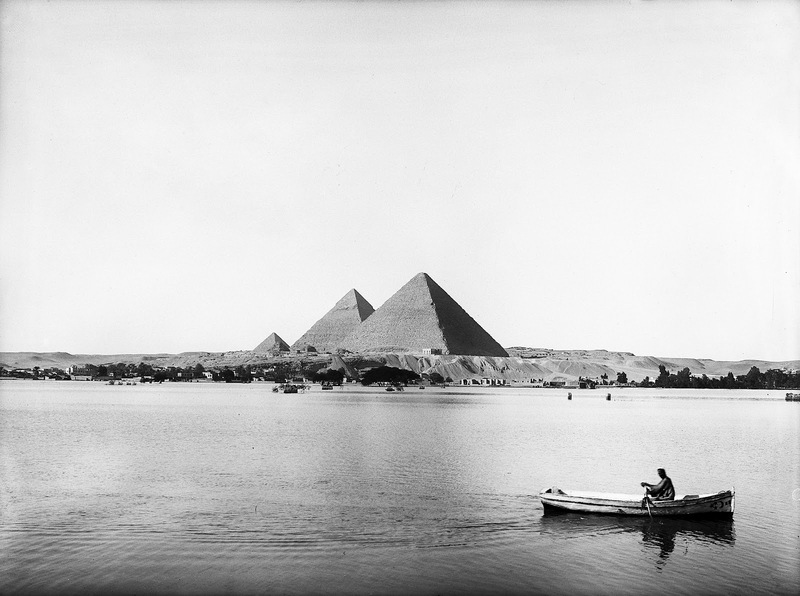 The Nile flood until 1964 was the pulse of Egypt, and the pulse of Egypt was the pulse of the ancient world. While I'm not an adherent to Karl Wittfogel's "hydraulic" interpretation of the ancient world, there is truth in the power that the flood gave to a unified monarchy and a common religion: someone had to be in charge of making sure the river flooded. The traditional beginnings of Egyptian history are the unification of Upper and Lower Egypt, symbolized in Egyptian art by the lotus (Upper Egypt) and the papyrus (Lower Egypt): both plants intimately associated with the Nile. The Egyptian God of the Nile, Hapi, was closely linked to the flood. (So perhaps I should wish you a Hapi Wafa' al-Nil. Sorry.) And, of course, there was the mythological explanation of the flood as the river rising from the tears Isis shed for her brother/husband Osiris. And the resurrection of Osiris is itself a symbol of the renewal of life through the flooding of the river. The flood and its relationship to political power is a common theme. One of the many great Mamluk historical compendia on Egypt, Ibn Taghri Birdi's Nujum al-Zahira fi Tarikh Misr wa'l-Qahira, is a year-by-year chronology of Egypt from the Muslim conquest to his own day, and for every single year, he gives the height of the Nile flood. Two of the great historical artifacts of Egypt are the Nilometer at Roda Island at Cairo, and another Nilometer at Elephantine Island in Aswan. The Nilometers are just what they sound like: they measured the rise of the Nile each year. One of the great historical compendia of the early 20th century is the multi-volume work by Amin Sami called Taqwim al-Nil, a book theoretically on the measurement of the Nile (the meaning of its title) which gives the level of the Nile flood for each year and describes the river and its dams, barrages and other controls in detail, but also links them to the annalistic history of Egypt's rulers. It recognizes the genuine links between political power and the Nile. For an account of the festival in the early 19th century, there is the classic work by Edward William Lane, in his Manners and Customs of the Modern Egyptians, and through the generosity of Google Books you can read it online; with the Wafa' al-Nil account beginning on page 496 of the Everyman Edition at the link. The rhythm of the flood created Egypt; the richness of the river's silt sustained its civilization. There is much fertility symbolism involved with Wafa' al-Nil, of course; the River God Hapi is depicted a male God with female breasts, and the Isis-Osiris-Horus trinity is intimately linked to the river. While Sham al-Nassim is at least arguably a survival of an Ancient Egyptian religious ceremony, there is no question about Wafa' al-Nil. From the unification of Upper and Lower Egypt under either King Scorpion or Menes (Mina) in about 3000 BC until 1964 AD, Wafa' al-Nil was not just an annual excuse for a holiday. It was the country's lifeblood. For the past 45 years, it is merely a symbolic remembrance of an annual event that will not return until, in some hopefully far distant future, the High Dam fails. But Egyptians still celebrate., though the Nile no longer floods. This weekend I begin a two-week vacation. Unlike some past years I have not prepared one post daily in advance, but I do have two or three in reserve and will likely come up with more, but the rate of postings will be less than usual. Ever since the History Channel dropped history for Ancient Aliens and UFOs, The Learning Channel changed to TLC and started hunting Bigfoot and ghosts, and even the Travel Channel started visiting haunted houses, the "Paranormal" is big business on TV and (need I say) the Internet. So who am I (other than an actual, real, trained, historian) to demur? At Gallipoli on August 12, 1914 an entire British battalion advanced against the Turkish lines to take a strategic hill. As their comrades behind them watched, a mysterious haze or fog closed in over the battalion. When it lifted they were nowhere to be seen. They were never seen again, and could not be accounted for by the Turkish authorities after the war; their fate is an unsolved mystery. It wasn't a battalion (over 1,000 men). 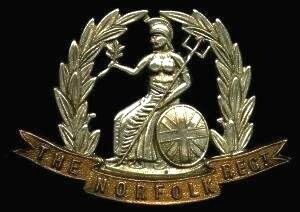 The missing men were about a company in strength, part of the 1/5 Battalion, Norfolk Regiment. At most 266 officers and men disappeared, though others give smaller numbers. Official casualties for the day from the 1/5 were 16 officers and 141 men. The "mist" or "fog" was first reported in 1965 on the 50th anniversary of the battle. The primary witness to the "fog" got the date wrong by more than two weeks and also got the battalion's designation wrong and the location wrong. But even though he didn't tell the story until 1965, believers assume his account was otherwise accurate. Oh, and the "fate is still unknown" part: after the war a mass grave was found of soldiers with at least 122 men with badges from the Norfolk Regiment from which the missing men came. One captain's watch was located in Turkey and returned to the family after the war. Other than that, the UFO theory seems pretty solid, except that when the abductees come out of the alien ship at the end of Close Encounters of the Third Kind, the Sandringhams weren't among them. Let's return to reality-based history now. The term "Sandringhams" originates from the special circumstance that a great many of the men in the lost company were raised from the Royal Sandringham Estates, which by World War I were the property of Queen Mother Alexandra, widow of King Edward VII and mother of the reigning King George V.
The 1/5 Battalion (or just 5th Battalion) of the Norfolk Regiment had begun as a Territorial force that trained part time. The battalion was largely raised from the southern part of the county, with "E" Company recruited from Sandringham, and with Queen Alexandra taking a particular interest in the unit. Watchers of Downton Abbey (or for my generation, of Upstairs/Downstairs) will not be surprised to learn that in recruiting from the Estate, the Gentry provided the officers, the senior staff (butlers, gamekeepers, etc.) the NCOs, and the lesser employees the "Other Ranks." 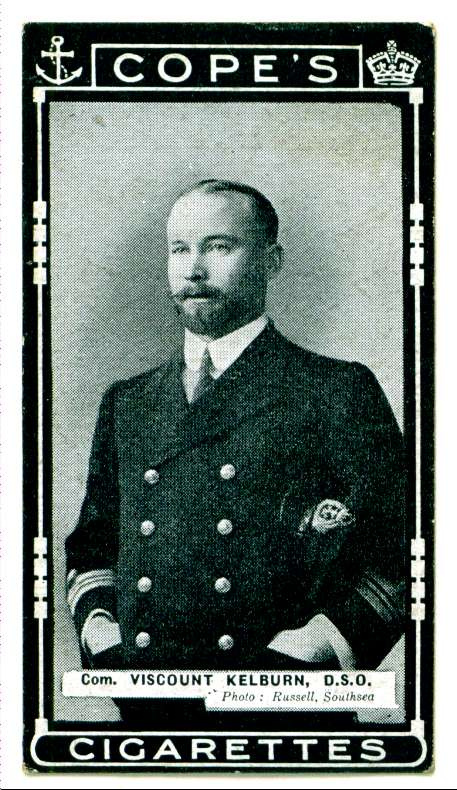 Queen Alexandra's Land Agent, Frank Reginald Beck, became the Company's Captain. Though Beck was 54 years old by the time of Gallipoli, he had volunteered for overseas service with his company. In February 1915, however, Company E was merged with Company C (King's), as this account and others point out, so strictly speaking there was no longer a "Sandringham Company" as such. In fact, of the 16 officers and 141 men lost that day, it is said that only Beck and 16 others were actually from Sandringham, further complicating the "Lost Sandringhams" myth. 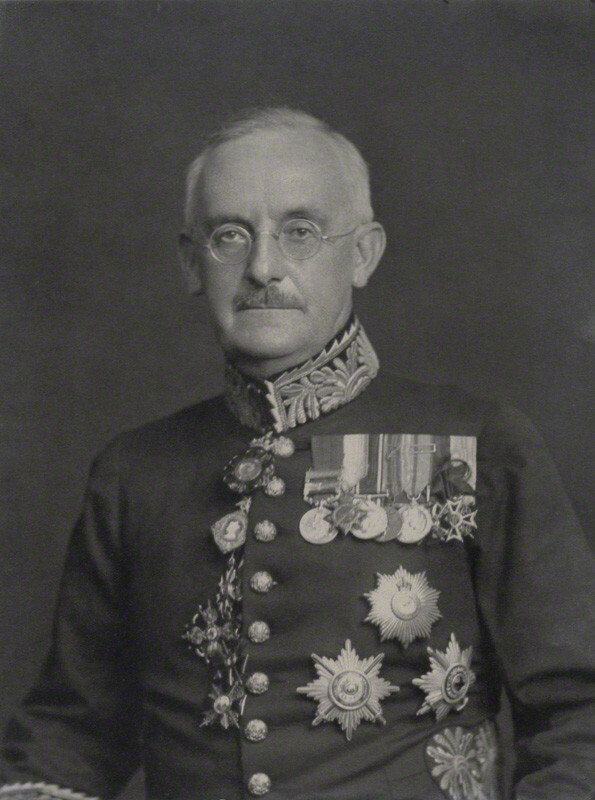 The 1/5 Battalion as a whole was commanded by Colonel Sir Horace George Proctor-Beauchamp, Sixth Baronet of Langley. Despite his wonderful double-barreled name, Proctor-Beauchamp was a cavalryman who had never commanded infantry. The fact that the battalion commander would also die in the battle may account for the popularity of the idea of a "Lost Battalion." The 1/5 had only arrived at Suvla Bay on the 10th, as a reinforcement of the original landings on August 6-7. On August 12, the 1/5 was ordered to advance in company with other battalions of the 163 Brigade, 54th Division, IX Corps against a position known as Kuchuk Anafarta Ova. 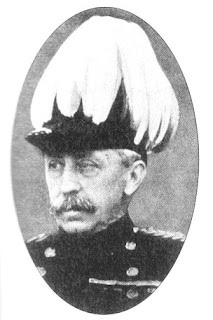 Colonel Proctor-Beauchamp was given local command by the Brigade Commander to lead his own battalion along with the 1/8 Hants [Hampshires], 1/5 Suffolks and 1/4 Norfolks. Things apparently went wrong quickly. The 1/5 managed to move out ahead of the supporting battalions to their left and were separated and isolated. Rather than fall back and realign the Brigade, Proctor-Beauchamp kept advancing. Some troops reached a sunken road and came within range of a Turkish machine-gun. One witness who survived spoke of Proctor-Beauchamp waving his cane and shouting "Hound them out, boys!" He was not seen again. But the whole 1/5 Norfolks did not vanish; a few hundred men at most did. Surviving officers withdrew the rest to their own lines. But the presence of Captain Beck, King George V's land agent at Sandringham, and the personal interest of Queen Mother Alexandra drew attention to the uncertainty about the fate of the lost men. And as noted earlier the number 266 was not final. Official lists of casualties vary (16 officers and 141 men; 11 officers and 151 men) but those actually unaccounted for seem to be somewhere in the 160 range. At least one officer reportedly ended up as a POW in Constantinople; some men filtered back to the lines. Frank Beck's watch fob was reportedly located in Turkey and returned to the family. It seems fairly clear that the men were cut off and cut down in their isolated position. Without the Royal Sandringham cachet, they would be just one more unit sent into the meat-grinders of the Great War. The mysteries of 1915 seemed mostly cleared up by 1919. End of reality-based history. Cue Twilight Zone theme and return to fantasy. The following is an account of a strange incident that happened on the above date, in the morning, during the severest and final days of fighting, which took place at Hill 60, Suvla Bay, ANZAC. The day broke clear, without a cloud in sight, as any beautiful Mediterranean day could be expected to be. The exception, however, was a number of perhaps six or eight “loaf of bread” shaped clouds — all shaped exactly alike — which were hovering over “Hill 60″. It was noticed that in spite of a four or five mile an hour breeze from the south, these clouds did not alter their position in any shape or form, nor did they drift away under the influence of the breeze. They were hovering at an elevation of about 60 degrees as seen from our observation point 500 ft. up. Also stationary and resting on the ground right underneath this group of clouds was a similar cloud in shape, measuring about 800 ft. in length, 200 ft. in height and 200 ft. in width. This cloud was absolutely dense, almost solid looking in structure, and positioned about 14 to 18 chains from the fighting, in British held territory. All this was observed by 22 men of No 3 section of No 1 Field Company NZE, including myself, from our trenches on Rhododendron Spur, approximately 2,500 yards southwest of the cloud on the ground. Our vantage point was overlooking “Hill 60″ by about 300 ft. As it turned out later, this singular cloud was straddling a dry creek bed or sunken road and we had a perfect view of the cloud’s sides and ends as it rested on the ground. Its colour was a light grey, as was the colour of the other clouds. A British regiment, the First Fourth Norfolk, of several hundred men, was then noticed marching up this sunken road or creek towards “Hill 60″. However, when they arrived at this cloud, they marched straight into it, with no hesitation, but no one ever came out to deploy and fight at “Hill 60″. About an hour later, after the last of the file had disappeared into it, this cloud very unobtrusively lifted off the ground and, like any fog or cloud would, rose slowly until it joined the other similar clouds which were mentioned at the beginning of this account. On viewing them again, they all looked alike as “peas in a pod”. All this time, the group of clouds had been hovering in the same place, but as soon as the singular “ground” cloud had risen to their level, they all moved away northwards, ie, towards Thrace. In a matter of about three quarters of an hour, they had all disappeared from view. The Regiment mentioned is posted as “missing” or “wiped out” and on Turkey surrendering in 1918, the first thing Britain demanded of Turkey was the return of this regiment. Turkey replied that she neither captured this regiment, nor made contact with it, and did not know that it existed. A British regiment in 1914-18 consisted of any number between 800 and 4000 men. Those who observed this incident vouch for the fact that Turkey never captured that regiment nor made contact with it. We, the undersigned, although late in time, that is at the 50th Jubilee of the ANZAC landing, declare that the above described incident is true in every word. Signed by witnesses: 4/165 Sapper F Reichart, Matata, Bay of Plenty, 13/416 Sapper R Newnes, 157 King St, Cambridge, JL Newman, 73 Freyberg St, Otumoetai, Tauranga. 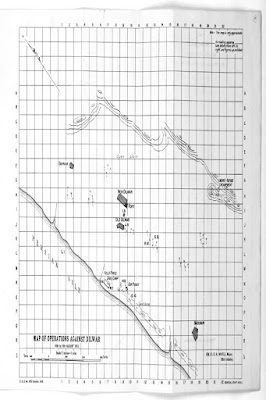 The NZ Skeptics analysis suggests that the story may confuse elements of the 1/5 Norfolks' disaster with an attack made on Scimitar Hill (near Hill 60) by the 29th Sherwood Foresters on August 21. They did not "disappear," but did take heavy losses fighting in an evening mist (though the Reichardt account says it was morning). So perhaps some trick of memory is at work here, especially if the witness was already a UFO believer. But Reichardt's story, however improbable, has fueled a cottage industry among the paranormal, UFO, and historical mysteries genres, few of whom take the time to look at the factual basis, however small, for the "Lost Battalion." You are of course free to search them out if you wish, but I hope this post makes the history as clear as we can make it through the fog of war. Note: If you have not read Part I of this post, which appeared yesterday, please do so first, as it sets the stage for the campaign described here. Since here was no chance the impotent Iranian government could provide the compensation demanded for the July attack, the British immediately began assembling a punitive expedition to occupy Bushire and punish the Tangistanis. In anticipation of the campaign, the Royal Navy named Captain (later Admiral Sir) Drury St.Aubyn Wake as Senior Naval Officer, Persian Gulf. Up to this point, the Gulf force had been under the Senior Naval Officer, Mesopotamia, but the commands were now separated. The British formally occupied Bushire on August 8, reinforcing the garrison there. They met no resistance at the port On August 9 it was decided to send elements from four companies of the 96th Berar Infantry (70 rifles from each) to land at Dilwar, along with Royal Navy elements, a Royal Marine covering force and a Navy demolition team. The 96th was under the command of Major C.E.H. 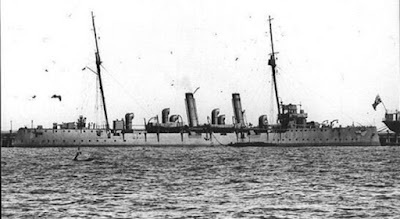 Wintle, and the force was accompanied by the Royal Navy's HMS Juno under the aforementioned Captain Wake, along with the HMS Pyramus and the Royal Indian Marine ships HMIMS Dalhousie and HMIMS Lawrence as troopships along with a Naval Landing Party of about 100 men. After the landings the ships would seek to seize any Tangistani dhows in the Gulf. The ships arrived off Dilwar on the morning of August 10, but they discovered the survey of the coast previously made was unreliable and they had to seek safe anchorages; also a shamal wind was blowing, preventing landings. This continued on the 11th, though in the interim they were able to do reconnaissance and practice landing operations. The landing finally became feasible on August 13 and operations began at 9:30 AM. The tides forced a landing to the south of the original plan. The Tangistanis were in trenches onshore and opened fire with rifles, and Juno's landing boat lost four dead and seven wounded. I reproduce he map accompanying Major Wintle's report to General Nixon, to illustrate the actions onshore though the resolution isn't great, and another map below it. Due to considerations of light, it was decided to land he troops at 11 AM. Once the Royal Marines were ashore the infantry landings began. The British did not have good maps of the area, and thought the villages of Old Dilwar and New Dilwar and its fort lay just beyond a palm grove. At 3:30 on the morning of August 14, Wintle ordered his troops forward to the palm grove, only to discover, as the maps a left show, that it lay some 1200 yards south of the villages. At 3:30 in the morning of the 15h, to avoid the heat of the day in the Gulf in August, Wintle moved out and took he village of Old Dilwar, stationing a company and a machine-gun there, and moving on to New Dilwar and its fort. It was discovered that the Tangistanis expecting him to return to the palm grove to cut down more trees,had reinforced the palm grove. The British were able to breach the walls of the fort. Wintle blew up the fort and burned the village of Dilwar. At the time of the landings, Wintle estimated the hostile forces at Dilwar at 150-200 men, but by late on the 15th at 500 to 600, suggesting that reinforcement had come from other villages in the vicinity. He also makes reference to seeing a "white officer," who he suggested might be a Turk, with the enemy. Wintle was planning to return and destroy more palm trees, but due to a shortage of ammunition and naval shells and the growing enemy force, along with growing dissent among the local population back in Bushire, it was decided to order the force back to Bushire, considering the destruction of the fort and the village sufficient punishment to the Tangistanis, and the punitive force re-embarked that night. Casualties were: Killed: Royal Navy: 1 officer, 5 seamen, 1 Royal Marine; 96th Berar Infantry: 1 Indian officer, 7 sepoys. Wounded: Royal Navy: 1 officer, 12 seamen and 12 Marines; 96th Berar Infantry: 1 Indian officer and 14 sepoys. As noted earlier, some casualties were from friendly fire when the Navy shells fell at the palm grove. This was not the end of the campaign. The Tangistanis would attack Bushire itself again on September 9, and we will resume the story then. 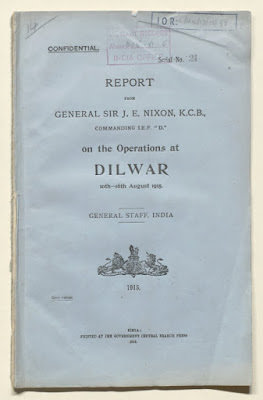 I was originally going to list a range of sources, but in the end most of the narrative of the campaign was taken from the primary source, available digitally online from the India Office Records digitzed by the Qatar Digital Library: "Report from General Sir J. E. Nixon, K.C.B., Commanding I.E.F. "D." on the Operations at Dilwar 10th-16th August 1915." This contains the texts of Major Wintle's and Captain Wake's official reports to Nixon, their daily orders, detailed casualty and decoration lists, and maps. The Qatar Digital Library has done a great service in digitizing these India office records. Back in July, I discussed the provocation that would lead to another sideshow of the First World War in Iran, the British occupation of the Iranian port of Bushehr (then usually spelled Bushire in English) and its hinterland. 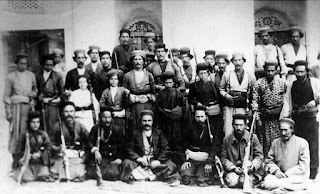 On July 12, 1915, Tangistani tribesmen under Ra'is ‘Ali Delvari, encouraged by German agents, attacked a small British garrison stationed at the British Residency in Bushehr to protect the telegraph line along the Gulf coast. Two British Indian Army officers and a sepoy were killed in repelling the attack. 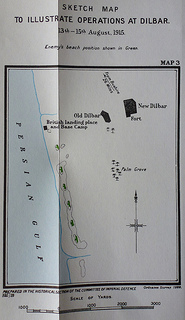 As I noted at that time, the British demanded compensation from the Iranian government, but the late Qajar Shahs had little control over their tribal areas, and so the British resolved to occupy Bushehr (hereafter Bushire as I'm drawing from contemporary accounts), and punish the Tangistanis at Delvar, which the British routinely called Dilwar following the Arabic pronunciation, or Dilbar. It is "Dilbar" on the map below, some miles southeast of Bushire. Notwithstanding their nearness to Bushehr Town, they still live in a rude and uncivilized state; blood-feuds flourish amongst them, and their name continues to be, in Bushehr Town, a synonym for lawlessness, brutality and ignorance. The houses in the villages are mostly date leaves plastered with mud, but some are built of stones. The people are poor in consequence of their perpetual wars There are about 2 rifles to every 3 houses. 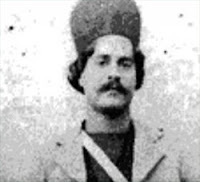 In Iran today the resistance to the British is seen as a nationalist resistance to foreign colonialism, and Ra's ‘Ali Delvari is considered a nationalist hero and martyr. His home in Delvar now is the Delvar Ethnological Museum, and while I'll probably never see it, I'm guessing it offers a different narrative of the Tangistanis from that of Lorimer. 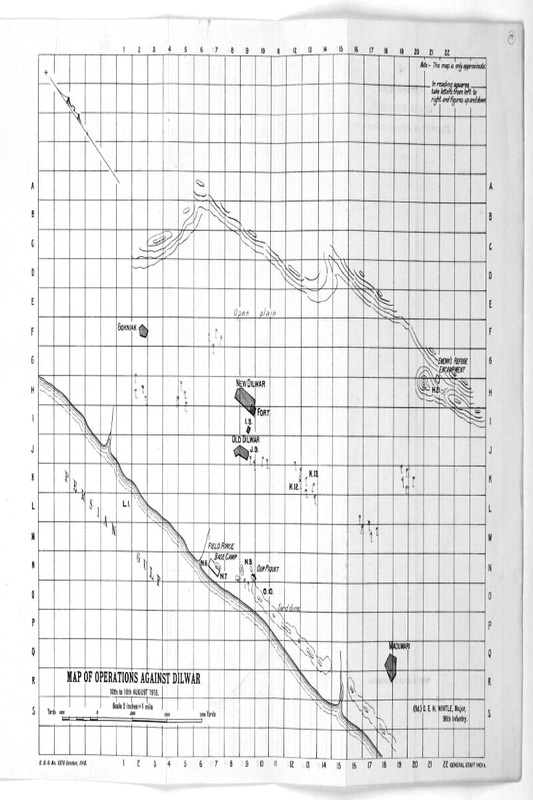 As for Dilwar/Delvar village itself Lorimer treats it [he spells it Dilbar (دلبار) and treats it together with the neighboring village of ‘Amari on pages 1864 and 1865 of the aforementioned volume of the Gazetteer], he describes the adjacent villages as having 70 houses,growing wheat and barley, grapes, and watermelons, and lists numbers of everything from date palms to donkeys in his day.He does not seem to have a count of people. So these are the people, the Tangistanis, who pulled the tail of the British Lion on July 12 and were about to face invasion. Let's also review the Dramatis Personae. The British troops in the Gulf were Indian Army troops engaged in the Mesopotamian campaign. This being before the disaster at Kut, the British still were enjoying success in "Mespot," and felt they could flex muscles in the Gulf. 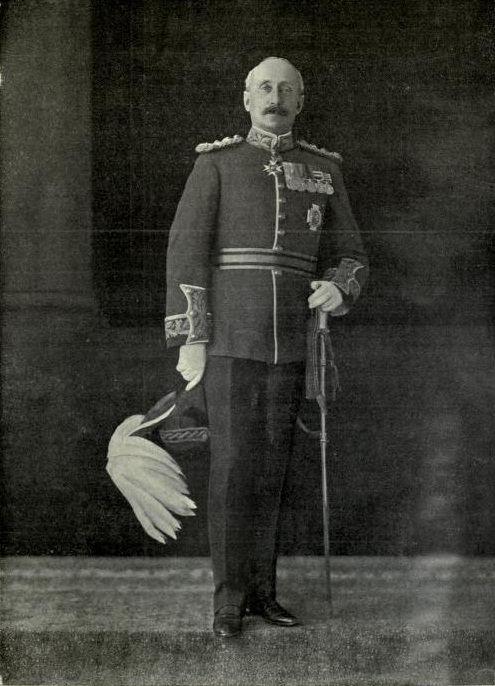 The Commander of British Indian Forces in Mesopotamia and the Gulf was General Sir John Nixon, a Sandhurst graduate and Indian Army veteran of the Second Afghan and Second Boer Wars. 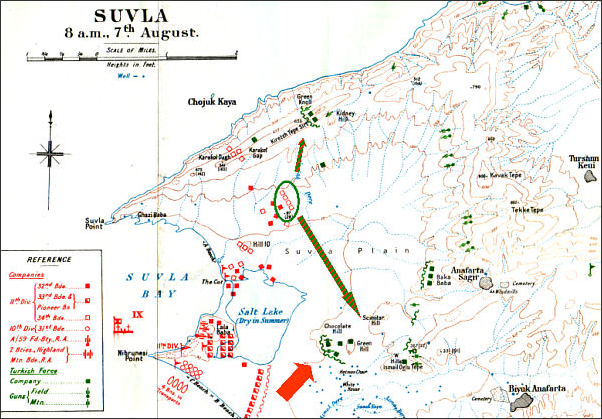 The British garrison at Bushire that was attacked in July came from the 96th Berar Regiment of the Indian Army, and they would bear the brunt of the campaign. When the British were not portraying the Tangistanis as mere brigands they saw them as instruments of Berlin. We also met the German diplomat/spy Wilhelm Wassmuss in my earlier post. It is perhaps only fair to mention one of the players most conspicuous by his absence. Britain, Germany, and the Tangistanis were all playing the geopolitical games of the Great War, and they (and he Ottomans and the Russians as well) clearly with felt free to manipulate Iranian tribesmen and local sheikhs and khans with impunity. All tended to forget that Iran was still technically a sovereign state and formally a neutral in the war. Ottomans and Russians fought on Iranian territory in the northwest; Britain occupied the south and the refineries at Abadan and were about to occupy Bushire, and Wassmuss had agents at work among the tribes. The man who wasn't there was Ahmad Shah Qajar. He had taken the throne in 1909 at the age of 12 after his father was deposed in the wake of the Constitutional Revolution of 1905. By the time he came of age and took the throne in his own right in 1914, he was virtually powerless. Eventually deposed while still in his 20s (and dying while still in his 30s), he is mostly remembered as the last of the Qajar Dynasty. The stamp at the top of this post, showing the very young Ahmad Shah overprinted with "Bushire under British Occupation," is a visual symbol of his weakness. Part II will deal with the actual operations to occupy Bushire. There's a big historical post coming later this evening. Meanwhile, I wanted to call your attention to two excellent posts on Egypt. My old friend Hisham Melhem, Washington Bureau Chief of Al Arabiya, has a perceptive and eloquent piece called "Whatever is the Matter with Egypt?" Another perceptive Egypt-watcher, Steven A. Cook at the Council on Foreign Relations has responded with a (somewhat) dissenting post at the From the Potomac to the Euphrates blog, "Whatever is the Matter with Egypt? Nothing All That New." Both are well worth a read. On April 25, 1915, you will recall, the British and French allies landed troops (mostly Australians and New Zealanders) at ANZAC Cove and Sud al-Bar on the Gallipoli peninsula. More than three months later they were still trapped on narrow beaches under fire from Ottoman artillery and hemmed in by Turkish infantry entrenched on rocky ridgelines. A maneuver intended to sidestep the stalemate in the trenches of the Western Front had instead replicated it, but with most of the carnage limited to the Allied side. A military situation such as this suggests to a sane strategist two options: 1) find a way to outflank the enemy, or 2) cut your losses and withdraw from an unwinnable situation. What part of "Gallipoli 1915" did you not understand? Let's land more troops in the same impossible positions! It worked so well on the Western Front. But the August landings added a few new twists: giving command to a general who had never commanded in battle, and landing in darkness. What could possibly go wrong? 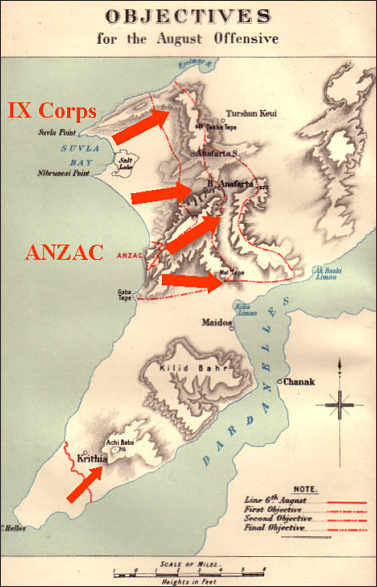 The landings were intended to assist a breakout by the ANZACs from ANZAC Cove by having the ANZACs attack from their position against the Sari Bair mountainous ridge as additional troops landed at Suvla Bay just to their north. Another attack was to be launched from Cape Helles. The map above shows the intended plan. The new troops being landed at Suvla Bay were the IX Corps consisting of two brigades (the 30th and 31st) of the 10th (Irish) Division and all of the 11th (Northern) Division (32nd, 33rd and 34th Brigades). These were "New Army" units formed at the outbreak of the war, The 11th was to go ashore the night of August 6 and the 10th to follow the morning of the 7th. But little went according to plan. 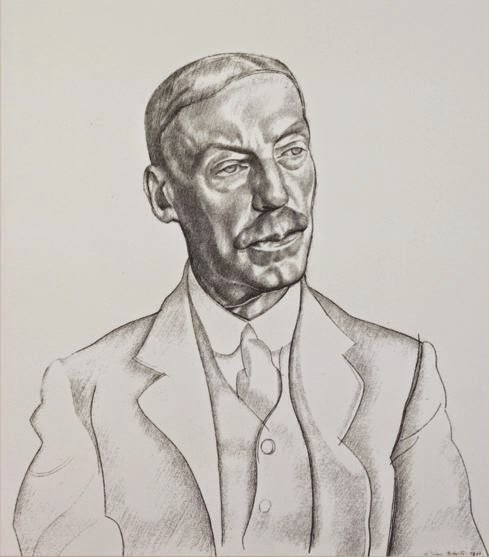 The theater commander, Sir Ian Hamilton, had asked for an experienced general from the Western Front, but those considered were junior in seniority to the 10th Division commander and could not be considered. Instead Lord Kitchener chose Lieutenant General Sir Frederick Stopford,who had fought at Tel el-Kebir back in 1882, and risen through the ranks in mostly staff and adjutant and headquarters positions. The younger son of an Earl, Stopford, despite high rank, had never commanded a large force in battle. He had retired in 1909, but returned to active duty for the war. In a war marked by disastrous British generalship, Stopford was unusually bad. The Ottomans knew new landings were coming, but didn't know where. They reinforced the Asian shore and other parts of the peninsula, but as the British prepared to land 20,000 troops at Suvla, only some 1,500 Turkish troops faced them. Stopford still managed to fail. Two brigades of the 11th were to go ashore south of Nibrunesi point while the 34th Brigade was to land in Suvla Bay proper, with the Irish brigades to follow. Landings were to begin at 10 pm after Australian breakout was under way. It began with a success, if a Pyrrhic one. Two companies of 6th Battalion, the Yorkshire Regiment, drove the Ottomans off the small hill known as Lala Baba, but with the loss of a third of the men and most of the officers killed or wounded. The 34th Brigade landing in Suvla Bay was a disaster: many had to wade ashore in neck-deep water while under Turkish fire. 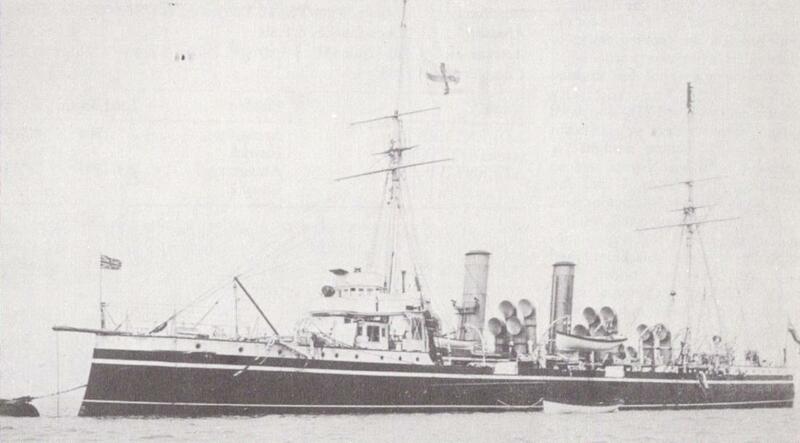 Stopford had decided to remain aboard HMS Jonquil, and soon went to sleep. The landings had begun in darkness. When the moon came up, Turkish snipers began to fire. The beaches were a confused jumble of men, many landed in the wrong place, or left without orders. The Irish brigades came ashore and added to the chaos. Drinking water was in short supply. IX Corps is said to have taken 1,700 casualties in the first few hours, more than the total number of Ottoman forces opposing them. 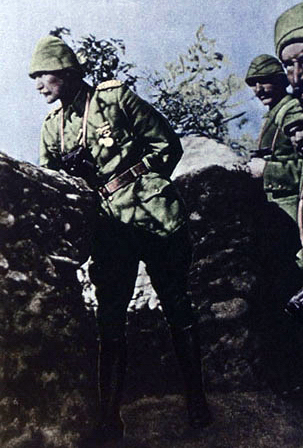 The German commander of the Ottoman troops on Gallipoli ordered two divisions to reinforce the Suvla front on the 7th. Stopford had still not come ashore. Nevertheless, he signaled Hamilton that he was going to "consolidate his position." Sir Ian Hamilton dispatched aides to the front and then came himself. Overnight on August 8-9 he ordered an assault on the ridgeline; the Turkish reinforcements had now arrived and made mincemeat of the 32nd Brigade. 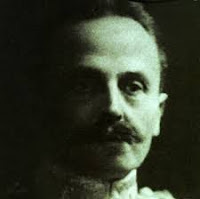 As the British chain of command remained in chaos, Liman von Sanders replaced the local Turkish commander in the Suvla-Chunuk Bair sector with the commander of the 19th Division. This was Mustafa Kemal, the future Atatürk. If Liman von Sanders now had the right man in command, the British did not. It was not until the 14th that Hamilton communicated to Lord Kitchener the need to replace the Suvla commanders. 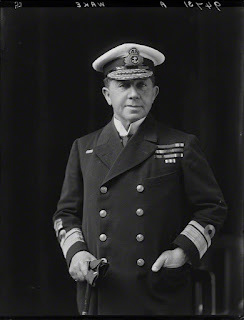 On the 15th Stopford was recalled and replaced with Sir Julian Byng. The 11th Division Commander was also replaced, and the 10th Division Commander resigned his command rather than serve under Stopford's temporary replacement. Meanwhile, the Australians and New Zealanders were heavily engaged in the Chunuk Bair region, receiving no relief. The disaster at Suvla would find many echoes in later memory. Though the only Australians at Suvla proper were a bridging engineer unit, Eric Bogle's antiwar And the Band Played Waltzing Matilda refers to Suvla Bay, perhaps in the sense that Chunuk Bair was part of the campaign. The 1981 movie Gallipoli would contain a reference to the English drinking tea on the beach at Suvla while the Australians are thrown into battle. They hung out a flag of war. And the fringe of the grey North Sea. 'Neath the hills of the foggy dew.